Working together within a positive atmosphere to provide a foundation for life-long learning. Please click here to order your SKMS yearbook at My SchoolBucks! Orders are due Friday, April 14. 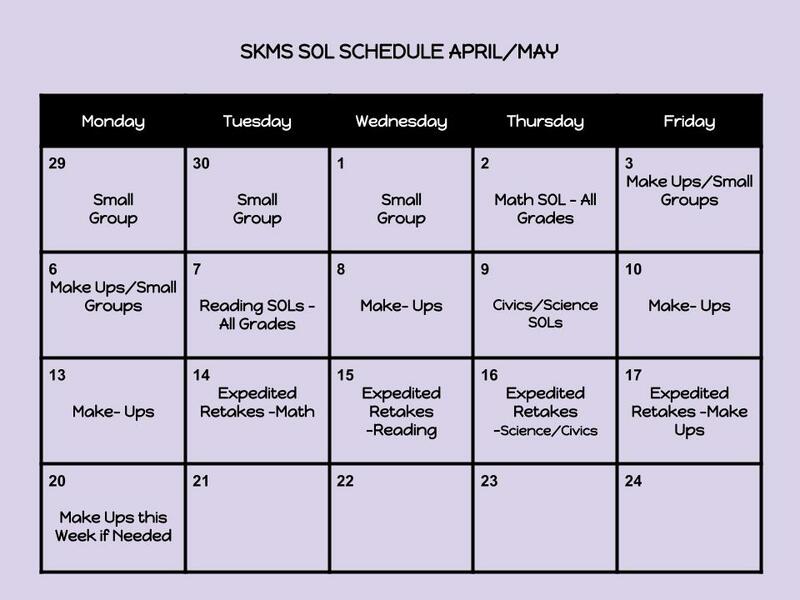 Above are the dates for the SOL tests at SKMS. All dates may change and will be updated as needed.